Amid the lively activity in our Lower School, a vital process begins—the work of learning how to learn. The wonder-filled years of kindergarten through grade four shape attitudes that produce self-confidence and a joyful love of learning, while combined with a play-based model. Our educational experts—teachers, coordinator of learning services, speech-language pathologist, math specialist, reading specialist, occupational therapists, and a counselor—come together to focus on each child, helping identify challenges and strengths while providing the structure children need to achieve goals. The Lower School provides the foundation for success in our Middle and Upper Schools. Within the full-day academic program, daily PE, gardening and clubs, we use innovative strategies to ensure academic achievement, including a strong understanding of self-advocacy. We create a Student Learning Profile℠ for each child and identify teaching strategies that work best in various subject areas. In each grade level classroom K-4 we have two teachers. All of our classroom teachers are trained in the Orton- Gillingham multisensory approach to reading. We cultivate confident learners by scaffolding a progression of conceptual knowledge and critical thinking skills, including executive functioning. Teachers lead small groups of children with similar learning strengths and needs in reading, language arts, word study, and math, allowing children to progress at their appropriate pace. Learning software and hands-on activities inspires exploration, innovation, and creativity. McLean School teachers operate from a firm understanding of Best Practices, such as Orton-Gillingham for direct, multi-sensory instruction in phonics, read-alouds to promote interaction with text and word-consciousness, researched-based Marilyn Burns' Do the Math and John Mighton’s JUMP Math curriculum to develop number sense and a strong conceptual basis for math. This common understanding allows teachers to use their individual creativity and problem-solving skills to design innovative and motivating activities to maximize individual student learning while also providing students with consistent instruction. The Grade 1-4 teachers all utilize The Writing Process and Being a Writer to teach writing. All classroom teachers are writing specialists and incorporate writing into their daily classes across subject areas. The occupational therapists teach handwriting through Handwriting Without Tears, which is a separate class. Children in the Lower School feel welcomed, supported, and comfortable at school. Students and teachers are committed to maintaining a safe and supportive school environment, and acts of kindness, effort, and citizenship are acknowledged on a daily basis. What academic support is provided in the Lower School? What social/emotional support is provided in the Lower School? How is the model for the Learning Services team unique in the Lower School? What is the difference between a traditional Learning Specialist and a Coordinator of Learning Services? What are the benefits of push-in support? What support do the Art, Music, STEM, and PE teachers provide? What support can the Occupational Therapist provide for my child? The Occupational Therapist (OT) provides fee-for-service individualized therapy for students who need OT services. The OT team also provides keyboarding support and instruction to all students in grades 3 and 4, as well as Adaptive PE for our youngest students in kindergarten. The OTs also serve as consultants to classroom teachers in meeting students’ sensory-motor and fine-motor needs. All new students in kindergarten through grade 6 are screened for OT needs. What support can the Speech-Language Pathologist provide for my child? Our Speech-Language Pathologist in addition to providing fee-for-service on an individual basis to students needing individual intervention, also provides school-wide support to teachers in meeting students’ speech and language needs, as well as phonemic awareness instruction to all students in need of such remedial work. In addition to screening students for SLP needs, the SLP along with the Reading Specialist screens students for phonemic awareness intervention. 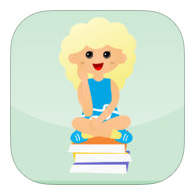 Have you seen the new Rhyme to Read beginning Reading app? The co-author of the books is our very own educator, Sara Hines. Rhyme to Read is a beginning reading program for young children.